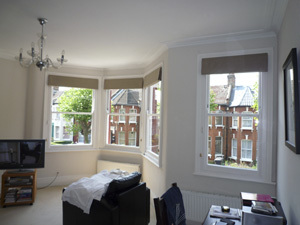 Changing Curtains supply every type of blind we can think of, all made-to-measure. As independant retailers we source our products from a wide range of suppliers, many of whom are specialists in just one specific type of product. 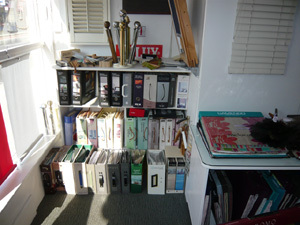 In our shop we have an extensive range of samples which may help you to reach a decision. 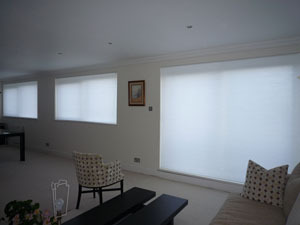 Roller Blinds are a window treatment familiar to all of us, simple but effective. We have a wide variety of fabrics available to us, from voile roller blinds through to "Blackout" roller blinds - indeed most curtain fabrics can be laminated to make roller blinds. We use a robust mechanism with heavy duty being available if required and our roller blinds can be sidewinder operated, centre sprung or motorised if you prefer. 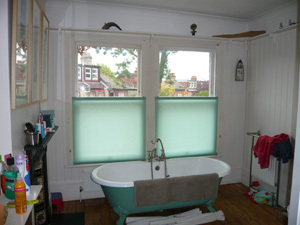 Bottom Up blinds are often a variation on roller blinds. Sprung loaded these roller blinds are held in place by cup hooks. 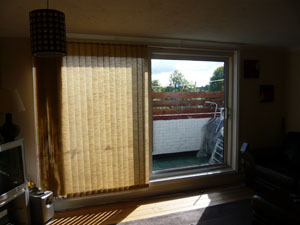 It is also possible to use Duette blinds as bottom-ups. 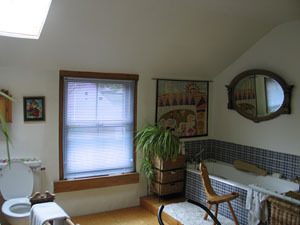 Top-Down / Bottom-Up blinds are even more flexible and can be positioned to cover any part of the window as required. Trappng a layer of air means that duette blinds have excellent insulation properties . Genuine velux blinds fit velux windows perfectly. We do not sell cheaper copies, because in our opinion they are not as good. As well as the regular brochures we also have a Velux fabric sample book so you can see the actual colour and texture. 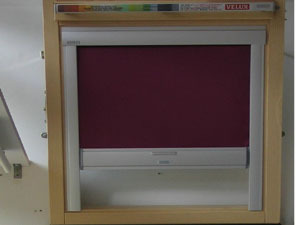 Available manual or motorised. In our shop we have roller, vertical and venetian blind samples from several manufacturers. 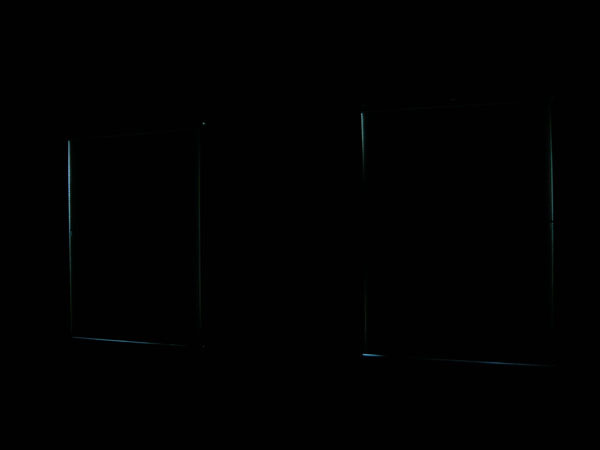 We have Duette blind samples from Luxaflex. We have a book of genuine Velux samples. We have a huge number of fabric samples suitable for roman blinds. 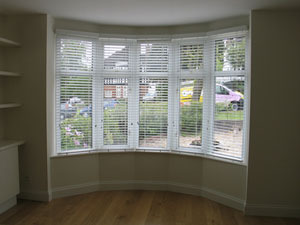 Aluminium venetian blinds are available in a wide range of colours and slat sizes. 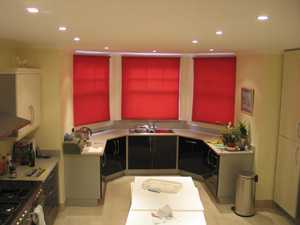 An inexpensive way of brightening up any space, 15mm aluminium blinds can offer a modern alternative to net curtains. 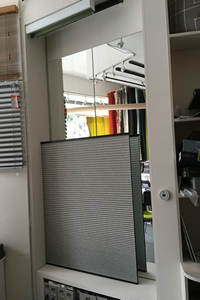 Come into the shop and look at all the possibilities, if you bring measurements with you of the size of your blinds we can give an estimate straight away. If you are fitting your blinds we can make them to your measurements, if we are fitting your blinds we will doublecheck sizes before we start. 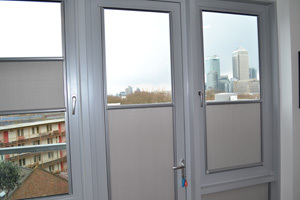 Changing Curtains employ two staff fitters and provide a full installation and repair service for blinds we have supplied.